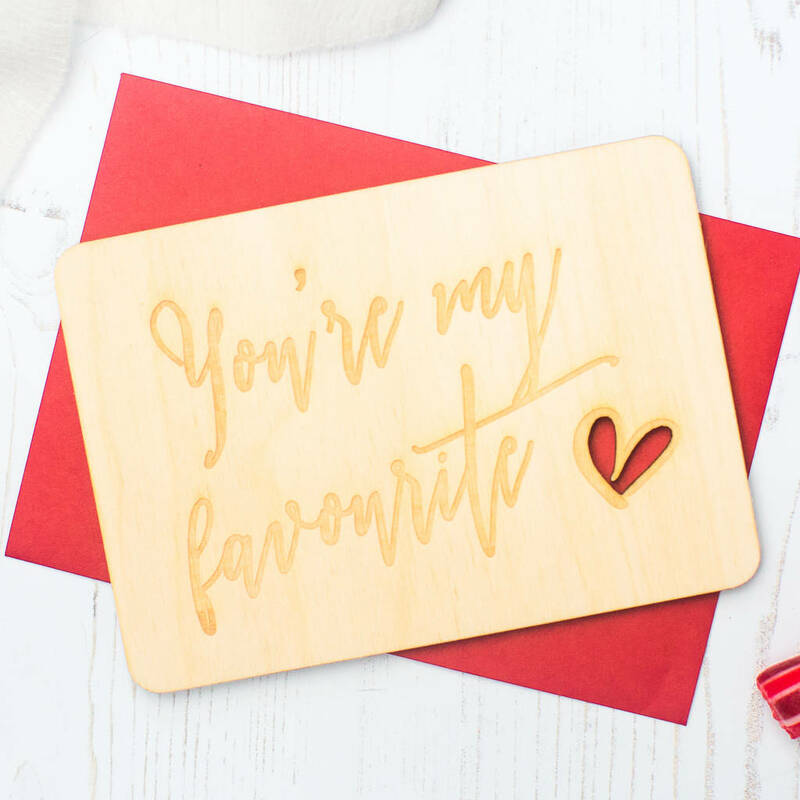 Our gorgeous wooden keepsake postcard makes the perfect valentines day card alternative which can be treasured for years to come. Featuring the cute phrase 'You're my favourite', this valentine's card is a unique gift and can be written on the back with a permanent marker, or choose to upgrade and have it engravedby us. Engraved and laser cut in our cheshire studio, the process involvs burning wood so some smoke marks may be present, however we feels this adds to the products charm!